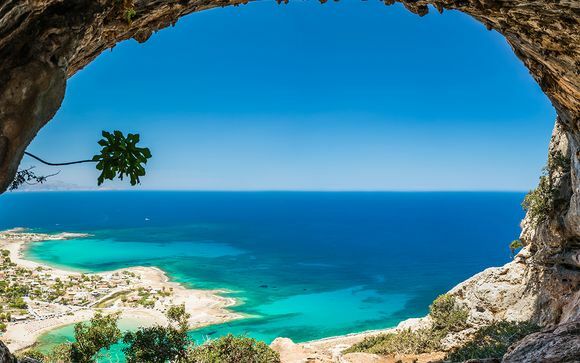 Sun and beach holidays to Greece : which island is for me? 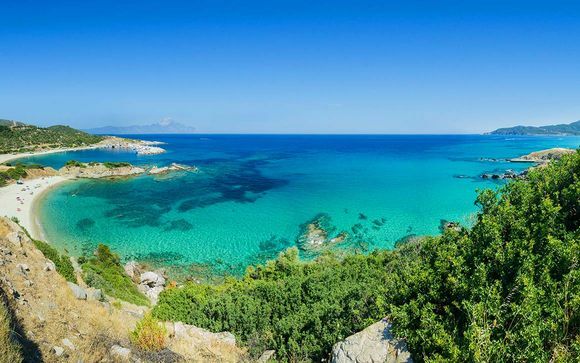 Sun and beach holidays to Greece : which island is for me? up to -70% off To take advantage of these offers, join now for free! 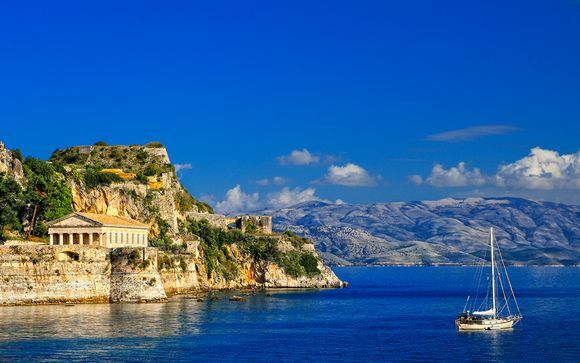 An absolute must on any traveller's list, the mainland and islands of Greece are all captivating in their very own way, however it can be difficult to choose an island you'll love. Visitable year round, each destination has its own charm and of course cuisine. 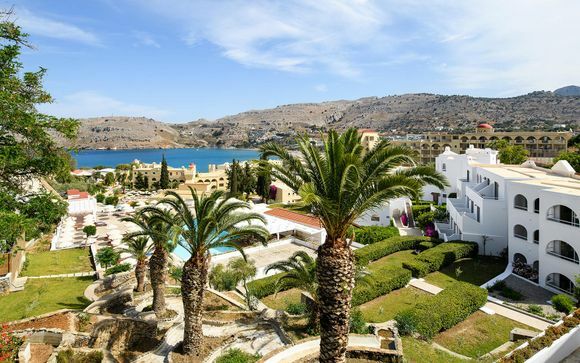 So whether you're after a romantic stay in a luxury boutique, a fun-filled family holiday or simply a beautiful sun and beach holiday to Greece on which to unwind, it is perfect. Comprising of only 4 and 5-star hotels, our exclusive offers consist of great discounts as well as upgrades and extras designed to make your escape extra special. 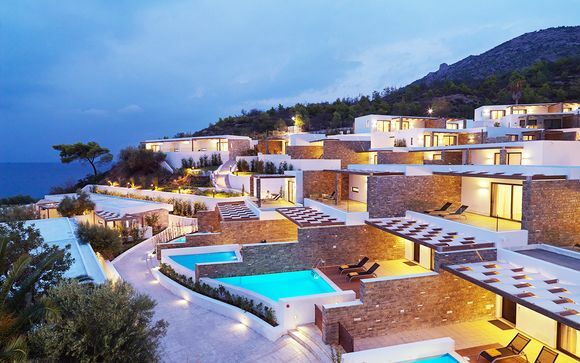 Filling up through every school holiday, Halkidiki, Peloppenese and Crete are home to a multitude of fantastic hotels designed with families in mind. The beaches are beautiful, the sun is hot and the facilities are, of course, brilliant. With kids clubs and activities designed for all ages, these hotels pride themselves in being able to enchant your family, whatever their passions. 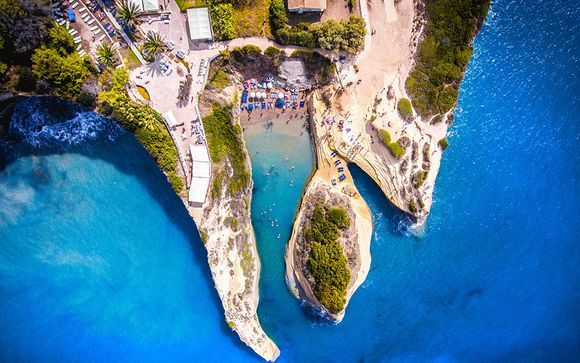 So, are your kids adrenaline junkies looking to splash their way through Greece or creative types who would love to master the cuisine and recreate the art? Whichever it is, our sun and beach holidays to Greece are waiting to give them the time of their lives while you are pampered in the spa, relax in the sun and taste the most sumptuous of Greece's traditional dishes. Honeymooners and romancers alike love the coastlines of Greece. 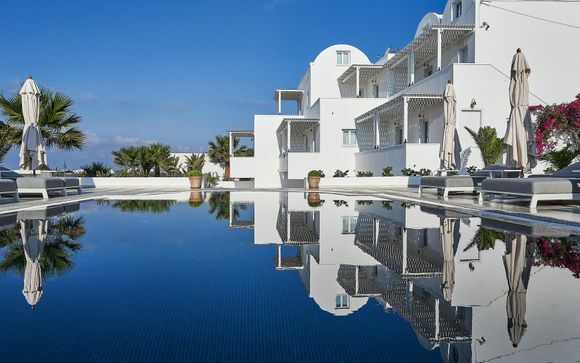 With trendy hotspots such as Santorini, Mykonos, Paros (you can find more information about Paros here), or the historical haven of Athens, Greece will cater to all your desires. Perfect for an intimate retreat, hotels in these distinctive regions are spacious and make the most of their unforgettable views - the sunrise in Santorini is not one to miss! 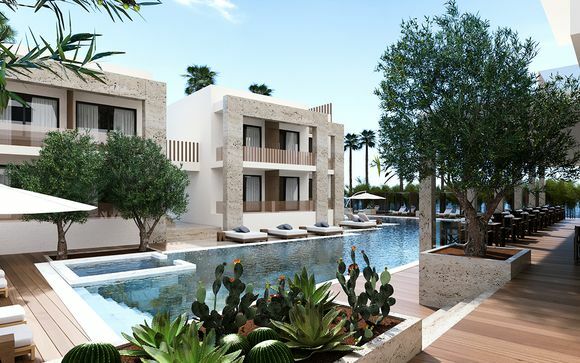 With spas specialising in couples therapy, elaborate tasting dinners and crisp blue seas, this is the home of true romance during your sun and beach holiday to Greece. Don't miss your chance - book now! 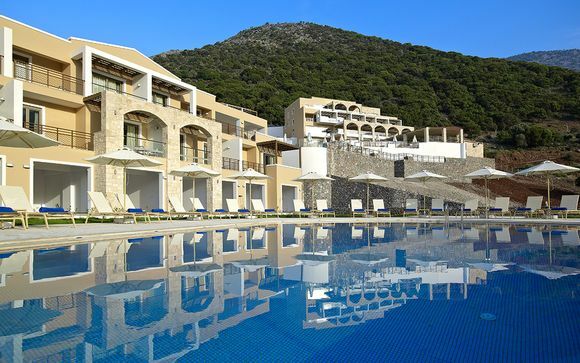 With destinations like no other, availability can be scarce in the most popular Greek hotels, especially throughout the summer months. Sign up to our exclusive members club to keep your finger on the pulse of exclusive flash sales and unbelievable offers. 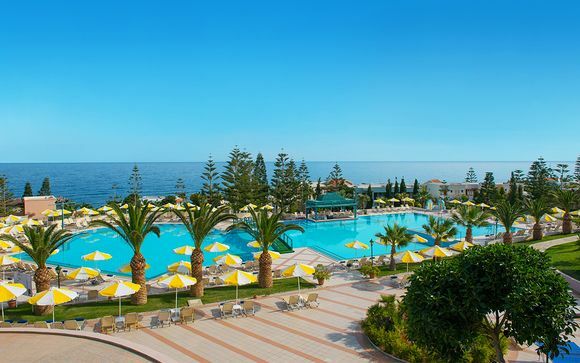 The bliss of a sun and beach holiday to Greece awaits.